Dream Holidays Cyprus is an upmarket, exclusive holiday organiser, offering select properties for rent, in some of the most beautiful coastlines of Cyprus. 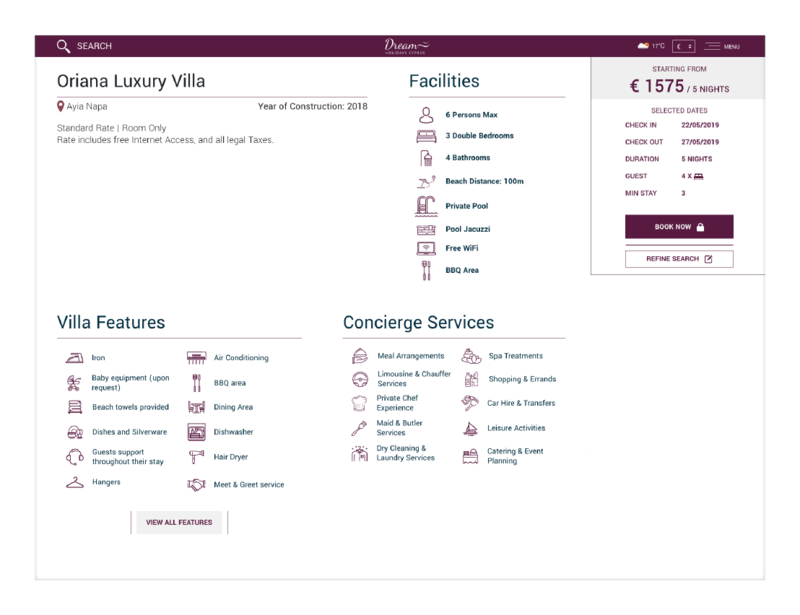 This was a tough one to crack on all levels: First, it was the intimidating task of proceeding with the espousement and integration of a highly advanced booking system to a fully custom designed website that was created from scratch without the availability of a previous edition. Then it was the daunting task of designing a website that would do justice to the amazing views, packages and villas on offer, and lastly, it was the challenging task of proceeding with an all-out internet marketing campaign. Moreover, and as an icing on the cake, an eye-catching logo needed designing as well.